Back when I did my series on morality, I used the Nazis – and the Holocaust in particular – as an example of people doing really cruel things. In truth, the inhumanity of the Holocaust – while still fairly fresh in our minds because it was relatively recent – is far from an isolated incident. Encomienda, the Atlantic slave trade, the Trail of Tears, tribal warfare in Africa are just a few of the many examples of humans doing horribly cruel things to others en masse. How do we account for this cruelty? It seems a little easier to account for something like a serial killer or child molester – we just say something like, that person was a sociopath. One of my clients works as a prison nurse, and has told me that one thing the prisoners frequently have in common is a horrible childhood full of abuse and neglect. Another former client works as a public defender specializing in death penalty cases. He's told me that only a very small percentage of killers are true sociopaths – that most are people who would, in most circumstances, never imagine themselves taking anyone's life. They typically feel great shame, guilt and regret. But when cruelty is systematic, as it was in the Holocaust, it's hard to believe that everyone is a sociopath, or that everyone had an abusive childhood, or that everyone just found themselves in a brief, extraordinary circumstance. How do we get so many people working together to do such cruel things? The theistic explanation is simply that people are inherently evil. As I explained in my morality series, that's a woefully inadequate explanation. It doesn't tell us why some people are more cruel than others; it doesn't tell us what takes an ordinarily kind, empathetic person to treat another person as something less than human – a mere object to be disposed of or abused. It might say that in certain circumstances, everyone – even the best of us – is capable, at the very least, of contributing to a great cruelty. But it does nothing to illuminate what those circumstances are or why the threshold of empathy varies from one person to another. "Evil" is not something we can study scientifically – empathy and cruelty, however, are. The notion that religion prevents people from doing wrong is problematic. The Nazis were not some atheistic regime (Hitler himself was openly Catholic, and it's common knowledge that several prominent Catholic figures were sympathetic to the Nazis), and certainly the millions of Nazi soldiers fighting across Europe were not a bunch of godless non-believers. Germany was (and is) an strongly Protestant country. And are we really to believe that those behind the atrocities I listed in the first paragraph were all a bunch of heathens? And are we really supposed to believe that they would never have committed such horrors, if only they'd had a better grasp of the correct theology? If morally right action were in any way dependent on having the correct religious doctrine, then – there's always been such a vast disparity of doctrines – we'd see those with the correct doctrine being exceptionally good, uniformly opposing wanton cruelty. But this is not the case, and Nazi Germany is a fine example: there were plenty of Protestants and Catholics on both sides. 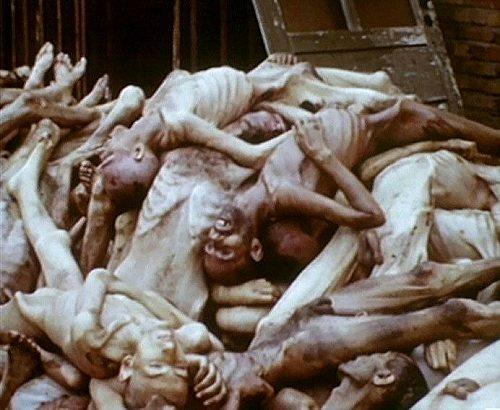 Clearly, it's inadequate to charge that these people contributing to Nazi horrors simply had the incorrect theology. It fails to tell us why so many others with virtually identical theologies did not commit such acts of cruelty, or why faith did not motivate them to take action in opposition. Now, I'm certainly not suggesting that Martin Luther, influential though he was, was in any way responsible for Nazi ideology; the notion that Jews are less than human did not originate with Luther, and it certainly did not originate with Nazism. These ideas were embedded among Christians for many centuries, and their permeation through Western European culture provided the gateway to, in the right set of circumstances, commit appalling acts of cruelty upon those people. The first step toward all human cruelty is to deprive others of their humanity – to see them as objects unworthy of dignity, fairness, and freedom. With these ideas entrenched among the German people, it was simply a matter of time before the right set of circumstances allowed them to scapegoat the Jewish people. In the widespread economic despair following World War I, a charismatic leader spoke to the German people's sense of entitlement and dignity, and exploited a centuries-old contempt for Jews. And thus the gears of cruelty began turning. Person A: "I simply had the list of Jews in my municipality. I did not round up the Jews, but did pass this list on when requested to do so." Person B: "I was told to go to these addresses, arrest these people, and take them to the train. That's all I did." Person C: "My job was to open the doors of the train – that was it." Person D: "My job was to direct the prisoners on to the train." Person E: "My job was to close the doors, not to ask where the train was going or why." Person F: "My job was simply to drive the train." Person Z: "My job was simply to turn on the showers out of which the poison gas was emitted." Cohen describes this phenomenon using the concept of the "banality of evil". Few, if any, would defy their commanding officers over such banal tasks. In isolation, each is benign. None require the complete erosion of empathy that, say, beating someone to death does. But each link adds to a chain that ends with unspeakable cruelty. And since the Holocaust was not even known until after the war, it's highly unlikely that common soldiers, and even many officers, had any knowledge of what was truly happening in what they were told to describe to Jews as 'work camps'. We've seen how 'evil' and other religious explanations fail to account for the complex factors involved in such organized cruelty, and how insidious ideas embedded in a culture can, under the right conditions, manifest with dire consequences. This goes back to an important point I discussed at the end of my morality series: that accurate information is pivotal to our ability to make rational moral judgments. The problem with the notion that Jews are sub-human – the kind of venom spewed by Martin Luther – isn't that it's 'wrong' according to some divine standard. The problem is simply that it's objectively false. There is no rational basis for singling out Jewish people as being any less human than anyone else, which is why an irrational belief system like religion was needed to play a central role in the spread of the idea. It's also why, if we're to prevent such cruelty in the future, we ought to value truth and reason above all else.